The Goal of the Chinese Buddhist Text Association is to develop Buddhist Information technology, improve the exchange and accessibility of Buddhist scriptures, use the special capacities of the electronic medium to store and deliver the scriptures of the Chinese Tripitaka to everybody, who would like to access it. The International Center for Greek Philosophy and Culture (ICGPC) is a non-profit academic, research and cultural Institution which was formed in 1987 and established by law in 1990. 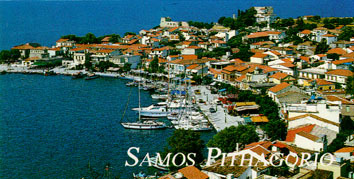 The ICGPC has its seat in Samos (Pythagorion), land of Ionia, which is also the birthplace of philosophy. The society for Ancient Greek Philosophy was founded in 1953. Based at Binghamton University, the Society hosts conferences, publishes newsletters and journals, etc. The SACP was established in 1967 as a non-profit organization aimed at advancing the development of the disciplines of Asian and comparative philosophy in the international academic arena, and bringing together Asian and Western philosophers for a mutually beneficial exchange of ideas. The Society seeks to provide the same sort of professional outlet for philosophers doing work in non-Western areas of philosophy as the American Philosophical Association (APA) provides for their counterparts in Western thought. The group serves as the largest and most well-known professional organization for scholars in the fields of Asian, Indian, and comparative philosophy. It holds panels in conjunction with the APA, the Association of Asian Studies (AAS), and the American Academy of Religion (AAR). The SASGPH aims to enhance the appreciation for and optimally develop Greek Philosophy and the Humanities, by stimulating academic productivity in these fields through product and project marketability, the building of national and international relations, as well as by emphasizing quality in all spheres, be they academic or cultural. To promote and establish Greek Philosophy and the Humanities in South Africa. To reflect a world class standard of academic discourse in its conferences, publications and communications. To promote internationally South African academics in the fields of Greek Studies and Greek civilization. To have a popular component, thereby appealing to a broader audience. To serve and develop the South African community by means of Greek Cultural Activities and Projects. The Society for the Study of Islamic Philosophy and Science was established at Binghamton University in 1970. Since then its President has been Professor Muhsin S. Mahdi, (the former director of scholarly centers with a focus on Islamic studies at the University of Chicago and at Harvard University). The Executive Committee of SSIPS has included many distinguished scholars, the late George F. Hourani (at SUNY Buffalo), Charles E. Butterworth (University of Maryland), Hermann Landolt (McGill University), Michael E. Maruma (University of Toronto).